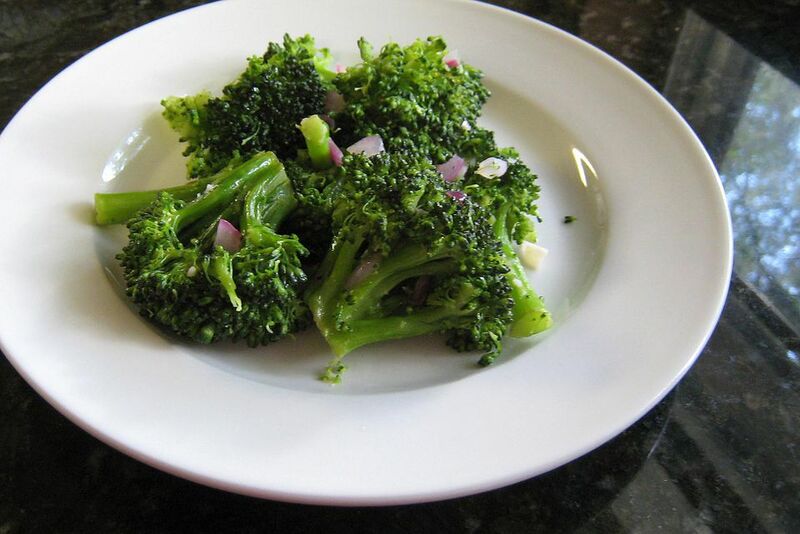 Walnut oil gives this broccoli recipe an interesting flavor, but feel free to use olive oil or another nut oil. Steam the broccoli just until tender. Add minced garlic, red onion, and lemon juice. Cook just until tender. Toss with the broccoli along with the salt and pepper.